The workstation is running Windows Server 2008, Visual Studio 2008 Professional sp1 and ReSharper 4.1 Full Edition build 4.1.933.3. 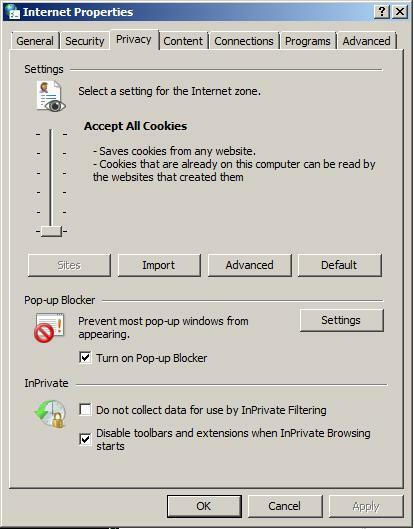 Do you have security settings for IE set to High level? IR> Professional sp1 and ReSharper 4.1 Full Edition build 4.1.933.3. > Do you have security settings for IE set to High level? I cannot tell for sure. Group policies at this location have removed the security tab from IE7. I haven't had the same problems running Vista 32-bit with the group policy but there might be other differences. 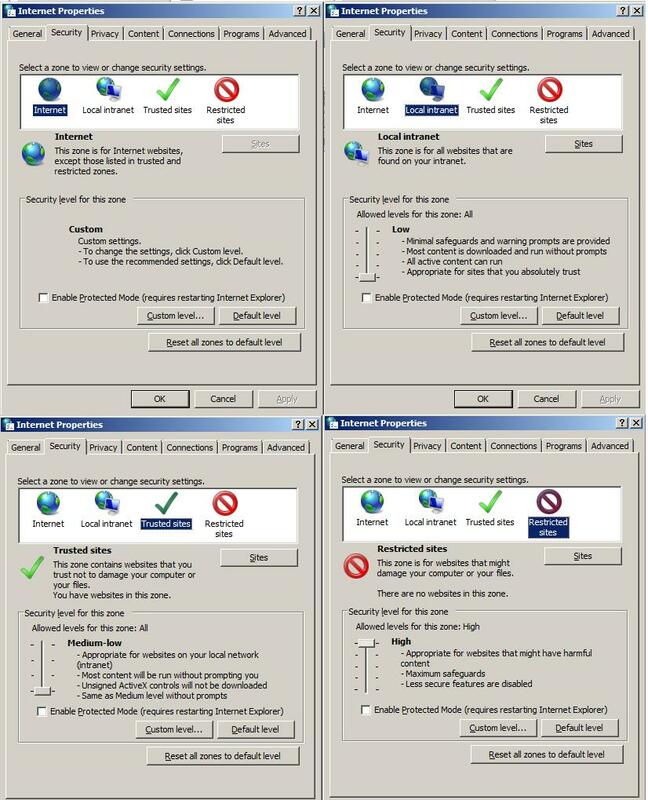 Do you have anything I can test out to see if it is the security settings in IE7 that are causing the problems? Btw, I am not running Internet Explorer Enhanced Security Configuration (IE ESC). >> Do you have security settings for IE set to High level? Did you find a way for me to check this setting? most likely this is the case, maybe you can ask your network admins? >>> Do you have security settings for IE set to High level? IR> Did you find a way for me to check this setting? Hey, I'm also having this problem. My company is still stuck on IE6, but I can tweak my security configuration. Which specific option (and in which zone) needs to be set for the links to work? Properties -> Security and Privacy tabs? Thank you! #1. "ReSharper PowerToys: csUnit" v3.0.0.0 by "JetBrains s.r.o." #3. "ReSharper PowerToys: FindText" v3.0.0.0 by "JetBrains s.r.o." #8. "ReSharper PowerToys: ZenCoding" v1.0.0.0 by "JetBrains s.r.o." Copyright © 2003-2011 JetBrains s.r.o.. All rights reserved. Sorry for delayed response. I have attached the security and privacy tab screen shots. Hi guys. I get this too, at work, using r# 5.1.3, and it affects unit test stack traces and the stack trace explorer. This maps to the "web sites in less priveleged web content zone can navigate into this zone". Our group policy has this set to prohibited. If I remove this setting, everything works lovely. If it's there, links don't work. Matt, you are my hero for the day. Thank you! For me, it was actually [HKCU\Software\Microsoft\Windows\CurrentVersion\Internet Settings\Zones\3] that did it—as Matt mentioned, it can be changed via the Internet Options control panel widget, on the Security tab, with the Internet zone, under the ‘Custom level...’ button, as the ‘Websites in less privileged web content zone can navigate into this zone’ option.